Problem. 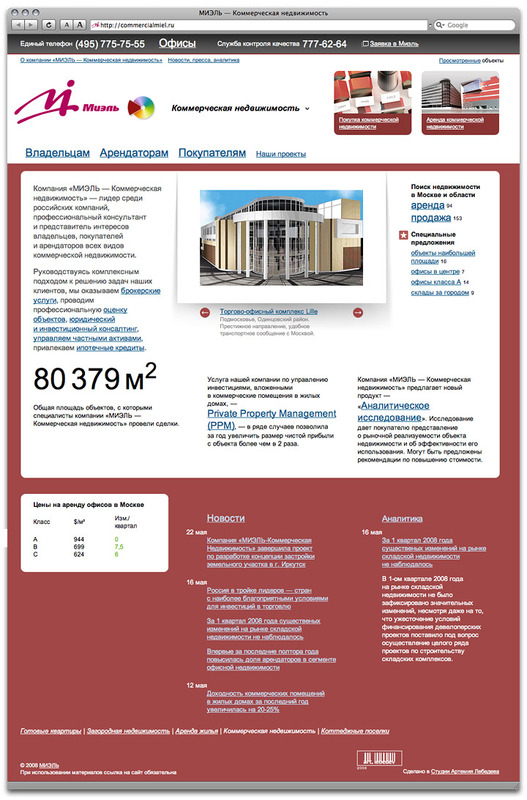 Continue the series of sites for a real estate company. This website is the next online resource created for MIEL Real Estate, one of the leading companies in the office sales and rental market. Similarly to the previous sites, the main feature of this one is an interactive search through an extensive real estate database.